Main Street in Frisco, Texas is home to some of the most unique stores in the area. 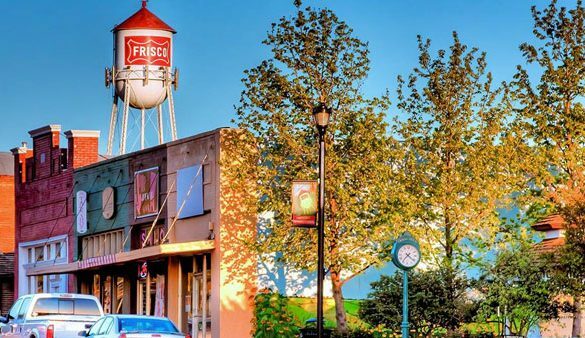 Frisco’s Main Street has a long history of being a destination for locals to gather, dine and shop. Stop by The Blue Door Boutique and Sunny Paige for trendy woman’s clothing or browse Lillian Welch for vintage home décor. Looking for something more ruggid? Lone Star Trading sells gorgeous wrought iron furniture that is sure to add a unique touch to your home.